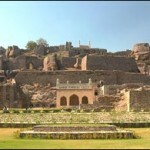 It is believed that the fort was built by the Mauryans in 7th century and many further structures were added to it by the successive Mewar rulers. Chittorgarh epitomizes courage and self-respect of the valiant defenders in the Hindu resistance against the Mughal invaders. Chittorgarh Fort is a living testimony to the bravery of the great Rajput rulers who laid down their life fighting a superior enemy instead of leading a life of submission. Chittorgarh fort has a glorious history and chivalric lore. It was besieged and sacked three times. After the first two conquests, the Rajputs conquered it, but the third attack brought it under the Mughals for a long period. Chittorgarh was sacked thrice in its history. The first time was by Alauddin Khilji in 1303. According to legend, he was so enamoured by Rani Padmini’s beauty that he attacked the town in the hope of capturing her. However when it was clear Chittorgarh could not be defended she immolated herself in the Rajput tradition of Jauhar, along with the other women in the fort, while the men went out to fight in a last desperate battle. Chittorgarh was attacked again in 1533 A.D. by Bahadur Shah of Gujarat. Once again Jauhar took place, led by Rani Karnavati, while her infant son Udai Singh was concealed and rescued. He grew to occupy the throne of Chittorgarh but fled when the town was attacked again in 1567 by the Mughal Emperor Akbar and his army. His flight resulted in the creation of the town of Udaipur and Chittorgarh was left abandoned. Among the monuments housed within the fort are Vijay Stambh , Kirti Stabh, Rana Kumbha’s Palace, Fateh Prakash Palace, Tower of Victory,Kalika Temple, Gaumukh Kund, Meerabai Temple,and Rani Padmini’s Palace. The most imposing structure within the Chittorgarh Fort is the Vijay Stambh. It was built by Maharana Kumbha in 1440 AD to celebrate his victory over Mohd. Khilji. The tower stands on a pedestal of 47 square ft and 10 ft high, while the tower alone stands at a height of 122 ft and is 30 ft wide at the base. The tower is nine storeyed and is adorned with sculptures of Hindu deities and stories from the Ramayana and the Mahabharata with names given below each sculpture. A stairway with 157 circular steps leads to a terrace, which provides a breathtaking view of the city. You can have a beautiful top angle view of the whole town. The tower gets illuminated in the evening, which cast a spell. A piece de resistance, the tower is a must see on any itinerary in a travel to Rajasthan. Dedicated to Adinath, the 1st Jaina Tirthankar, the Kirti Stambh was built in the 12th century A.D by a wealthy Jain merchant. The tower is adorned by carved images of the Digambar saints. Adherents of Jainism travel to Rajasthan in large numbers as the state is noted for being home to some of the finest Jain structures. One of them is the Kirti Stambh, which you can see when you travel to Chittorgarh. Padmini’s Palace is built beside the lotus pool with a historical pavilion that changed the course of history of Chittor. Ala-ud Ala-ud-din Khilji’s obsession with her beauty led to the bloody battle in 1303 A.D. Queen Padmini and the women of the court sacrificed themselves in a pyre of fire rather than submit to anybody. This supreme sacrifice has been called ‘Jauhar’ and epitomises the fiery spirit of the Rajputs of the day. A travel to Rajasthan will acquaint you with the highly cherished notion that death is preferable to dishonor. This mother goddess temple was built originally in the 8th century as the Surya or Sun Temple and converted to its present form in the 14th century. Dedicated to the mother Goddess Kali, the temple has beautiful carvings. The carvings include the famous scenes of the churning of the ocean by the gods and demons. There is an image of Surya guarding the main entrance to the temple. Build by Maharana Fateh Singh this huge palace is of modern style. This palace has been named Fateh Prakash after Maharana Fateh Singh. There is a big Ganesh idol, a fountain, and different frescos which are to be seen to be believed. This palace, now a museum, has a rich collection of sculptures from temples and buildings in the Fort. It is a deep tank filled by a spring coming from a ‘cow mouth’, situated at the edge of the cliff. It is considered to be sacred. . Located in the tranquil surroundings, this spot offers spectacular views across the plains. This temple is built in north Indian style with a delicate curved tower it is dedicated to Meerabai, the famous Jodhpur princess and mystic poetess. Built by Maharana Kumbha in 1449, this Lord Vishnu Temple has beautiful idols in its sanctum, mandap and pillars. In the same premises, there is a small temple of Lord Krishna. It is associated with Meerabai who was devoted to Lord Krishna and whose life and bhajans have become part of the folklore and literary traditions of the region and several parts of India. The entrance of the Chittorgarh has seven massive gates. The one mile long serpentine road to the fort is quite steep and exhaustive. The fort is approached through seven huge gateways or ‘pols, which are guarded by watch tower and massive iron spiked doors. Each gate is different in its name, design and its size. 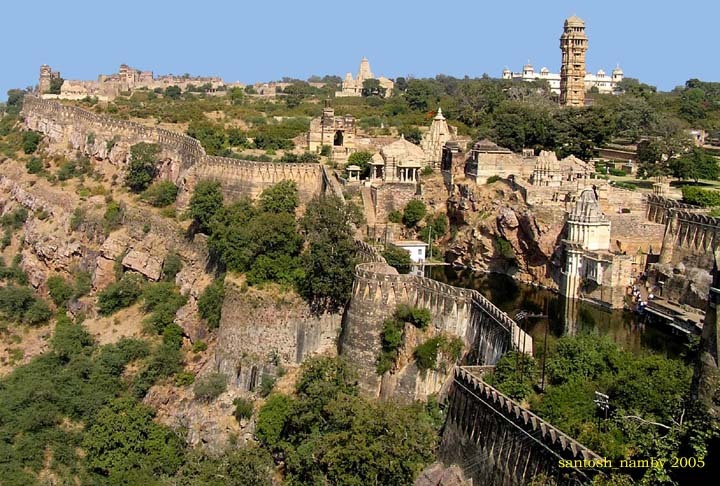 Chittorgarh Fort is undoubtedly the most grandest of all the forts of Rajasthan. The fort represents the quintessence of tribute to the nationalism, courage, medieval chivalry and sacrifice exhibited by the Mewar rulers of Sisodia and their kinsmen and women and children, between the 7th century and 16th century. The rulers, their soldiers, the women folk of royalty and the commoners considered death as a better option than dishonor in the face of surrender to the foreign invading armies. Today the city stands as a proud reminder of the heroism and sacrifice of the Rajputs of Rajasthan India. The city stands strewn with monuments and battlements as evidence of the blood and gore that it went through in medieval times. I am Susan Hannan from Exams Key; it gives 100% 156-215.75 Exam Questions. Let’s take benefit of 156-315.75 Exam Questions material efficiently and get guaranteed success. Check out free demo of all certifications Exam. What an amazing history-the site of so many tragic events! That is a very fascinating history and the fort photo is simple amazing..very beautiful. Awesome things here. I am very glad to look your article. Thank you a lot and I’m looking forward to to more articles.